When I think of cozy, I think of cable knit throws. I don’t know why, but they seem to be so classic and casual. This Organic Cable Knit Throw Blanket is one of my favorites and is made from 100% organic cotton. I have the grey one. This Ivory Cable Knit & Lynx Faux Fur Throw Blanket by Fabulous Furs is on my wish list. I just love the faux fur lining…it is the ultimate in cozy! It also comes in grey. This is so yummy! The Sherpa liner on this Cable Knit Sherpa Oversized Throw puts it over the top! Wouldn’t this make a great Christmas or Birthday present for a loved one?! The soft stripe on this 100% Cotton Throw Blanket With Handmade Fringes is such a classic look. This chevron pattern on this Soft Hand Chevron Pattern Cotton Throw Blanket in Blue Gray would really provide a bit of flair to a simple piece of furniture. I am absolutely in love with this paprika color for fall! And the herringbone pattern…it is a keeper! And, speaking of Herringbone…I love this well-priced throw from Target! And, this one…also from Target…is very subtle and casual. The neutral colors will coordinate with almost anything! Even though I have designed a much more contemporary home this go-around, I still LOVE PLAIDS! Especially, in the fall. I have even been known to wear a plaid throw as a shawl in the cooler days and nights. I have always loved Ralph Lauren plaids that were so popular back in the day and that has certainly stuck with me through the years. Plaids are just so classic! Here are a few of my favorites for fall. I have ordered this one for a fall table setting for a dinner party I am hosting in September. The fall colors in this throw are perfection! Think of what you could do with this for a fall table setting! And, how fun is this?! See what I mean about wearing a throw as a shawl…OR, using a shawl as a throw! Right?! Wouldn’t this be so cute mixed with orange for Halloween? And, it could be used for so many other applications throughout the year. If you are really after staying warm, wool is the best way to go. We have a large, built-in gas firepit on our back patio. We are also in the process of constructing another firepit area in another part of our yard for real wood burning. My kids (my daughter, especially) love making smores with roasted marshmallows. It is one of their favorite past times when we go on our “glamping” trips. Late summer and fall nights can get pretty chilly here in Colorado, so we always keep warm blankets close by for us and our guests. They are also a staple in our camper for cold nights in the mountains. The orange/rust and brown, neutral tones of this throw are fall perfection! This Wool Throw Blanket, New Carnival Throw with Gray and Orange Black Stripe is making it into our collection for sure! This would also be great to use for Halloween decor. This Wool, Angora Mohair Throw Blanket is everything! This one is absolutely on my Christmas list! I have already sent the link to the hubby. Wink, wink. This Naturally Bronte Shetland Quality Pure New Wool Gray Aysgarth Cosy Throw Blanket is wool AND plaid! Home run for sure! I am swooning over the warm, neutral colors in this throw. This is actually another one that I would love to wear! Don’t you agree?! In terms of wool blankets, I saved the best for last! I inherited this incredible, highly coveted wool blanket from my in-laws years ago. At the time, I didn’t know about the classic nature of this well-known blanket. Initially, my thought was that it was just an itchy, old blanket (that actually stunk a bit, until I researched how best to wash it). Since then, my husband has “filled me in” on it why it is a collectible blanket. Now that our son is bringing so many of his friends on our “glamping” trips, he begs us to get the pleasure of being able to use this blanket in his tent to stay warm. Authentic wool blankets can be very expensive, and this one is no exception. However, if you can add it to your collection, I highly recommend it! Finding an antique one is even more desirable. According to Wikipedia…”A Hudson’s Bay point blanket is a type of wool blanket traded by the Hudson’s Bay Company (HBC) in British North America (now Canada) and the United States during the 1700s and 1800s. The company is named for the Hudson Bay and the blankets were typically traded to First Nations in exchange for beaver pelts.” How cool is that?! I own a piece of history! Doesn’t faux fur just scream “cozy”?! I have been swooning over this Timber Wolf Couture Faux Fur Throw Blanket. It is so lush and luxurious…but, with a price point to match. This Lynx Faux Fur Throw Blanket by Fabulous Furs is so yummy! 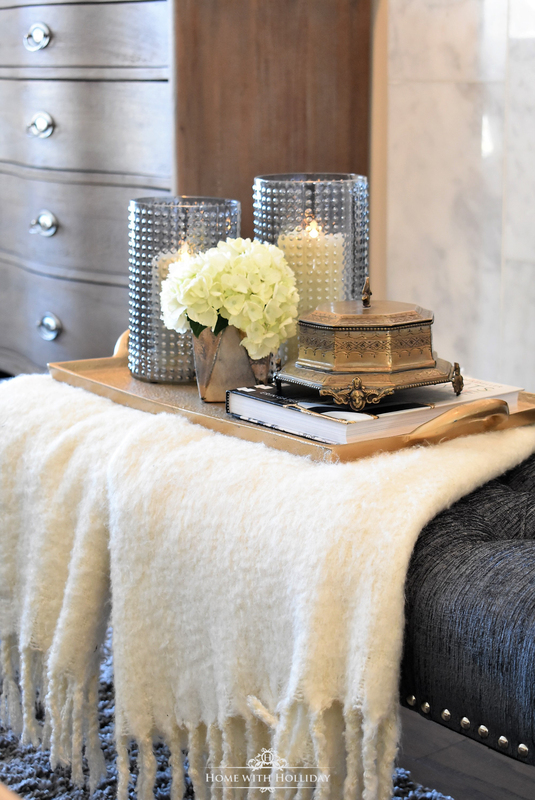 This Lux Faux Fur Throw in Mongolian Cream is completely delicious and so dreamy! Throw this at the end of the bed and your dog might never want to leave! 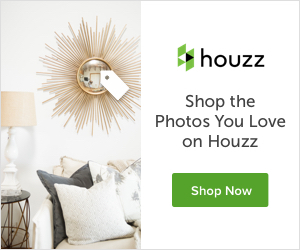 I don’t know about you, but all of this shopping has made me want to curl up in a cozy throw blanket with a nice glass of wine and my little peanut! Thanks for stopping for this Friday Favorites post! I would love to hear what your favorites are from these selections in the comments below!